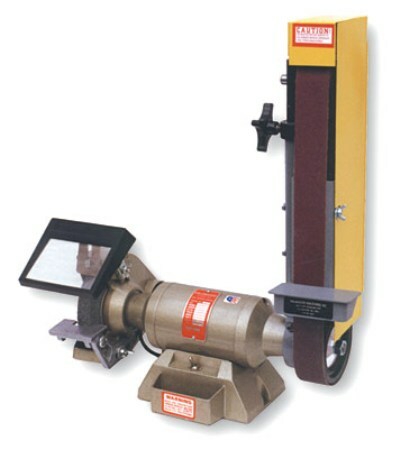 7" bench grinder (1/2 HP 110V) with a 2" x 48" belt sander. Use in vertical or horizontal position. Has tilt table, con­tact wheel, removable platen. 3450 RPM. Wt. 50 lbs.